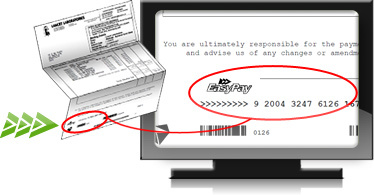 EasyPay >>> "a better way to pay"
While your request is being processed. I am sure that you are aware that banks are all experiencing grave attacks on the integrity of their credit card systems whereby credit card numbers are compromised and then utilised by fraudsters to make payments for goods and services using card not present channels such as the Internet. The banking answer to this problem has been to simply refute transactions that are effected using these channels as the card technology they use is obviously not able to identify, prevent and eliminate this type of fraud. The nett result is that our customers are being prevented from using EasyPay as a payment channel which is unacceptable to us as our website complies to all banking rules and regulations and conforms to all security standards and procedures. We have thus decided to no longer accept American Express on our site but are delighted to offer a much safer and easier to use alternative to our valued customers that will incorporate a loyalty programme which we believe is of greater value than that currently offered. We intend to continue to develop our technological platform and to offer more products that will allow our customers to transact safely without being limited to certain products or services. We apologise for the inconvenience caused by the current flawed card technology and hope that you will endorse our solution as part and parcel of your future payment solutions. Our staff will contact you to facilitate the change and ensure that you are the first to benefit from our new technological offer. Please give us the opportunity to service your payment need without limitation! BEWARE: Do not supply any of your banking details (account numbers / PINs / etc.) when prompted to do so over the telephone. Contact your bank yourself to check whether it has picked up fraudulent transactions on your account. Do not become a victim: Never give your personal, banking, credit card or PIN details to anyone by typing them in on a telephonic computerised system or by typing them in on an email attachment or link! Can I use this EasyPay Website?